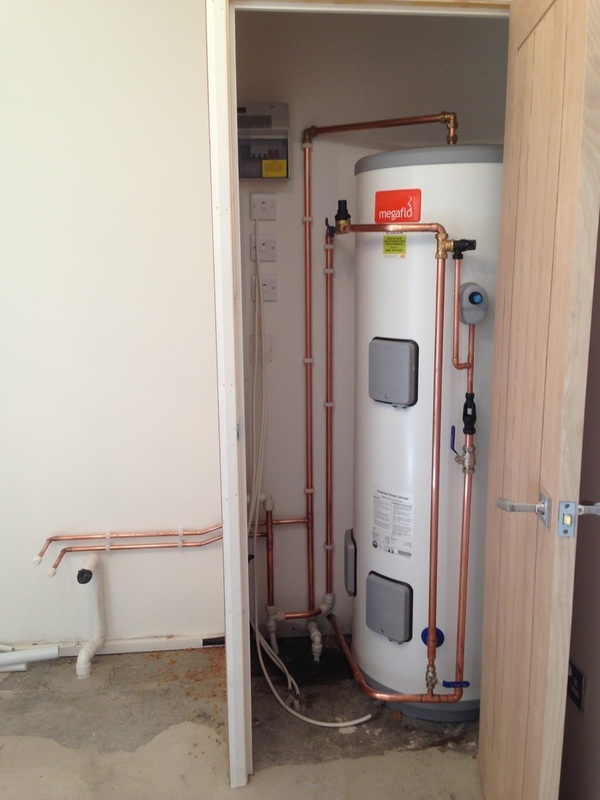 A cylinder where the property has only electric heating but high hot water expectations. Unvented hot water storage cylinders, unlike open vented cylinders, require a number of safety devices to ensure the safe operation of the system. Because the unvented cylinder is 'sealed from the atmosphere', the hot water temperature, water expansion and water pressure have to be monitored and accommodated in normal operation, and, in the event of a problem, be capable of discharging any excess pressure and hot water safely. 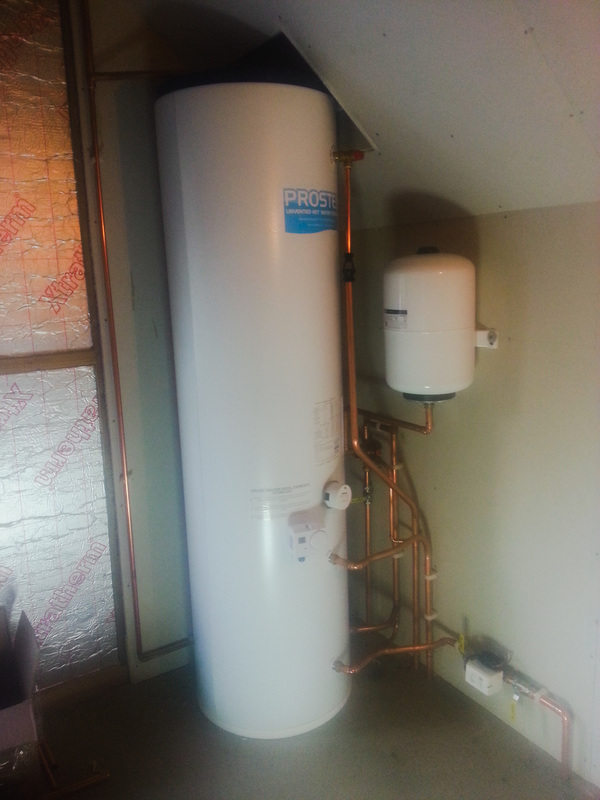 ​Unvented cylinders are mains pressure hot water storage systems that provide a highly efficient way of storing and distributing domestic hot water at mains pressure throughout your home. These cylinders are not open to the atmosphere, unlike open vented cylinders which are open to the atmosphere via the cylinder's vent pipe and the cylinder's cold feed pipe from the cold water storage tank. These mains pressure cylinders provide quicker heat recovery than the low pressure open vented cylinder. 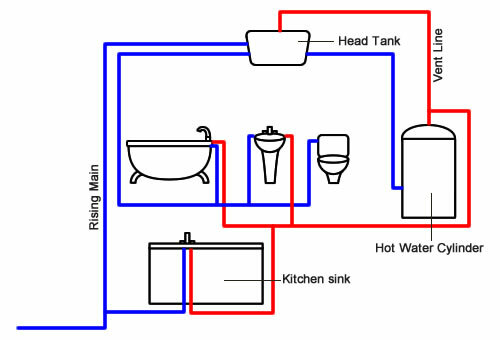 Because water is supplied from the mains supply and not from a cold water storage tank, the flow rate and water pressure from a unvented cylinder at the outlets is much greater than from the storage fed open vented cylinder. 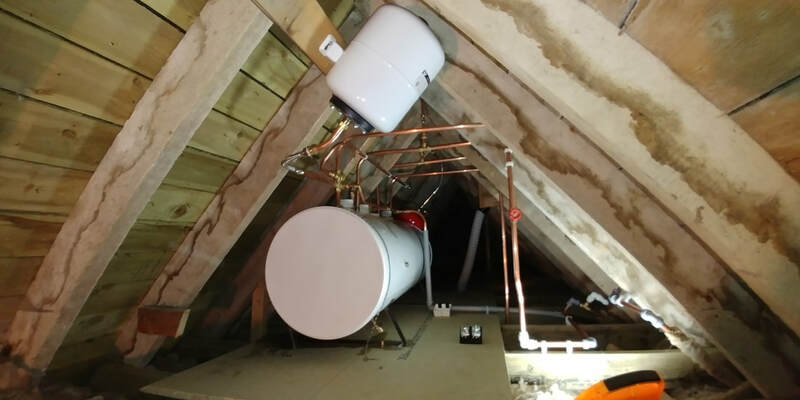 Open vented cylinders are low pressure hot water storage cylinders, water is supplied to these cylinders from a cold water storage tank ( usually located in the loft space ) and not directly from the water mains like the mains pressured unvented cylinder. ​Used mainly years ago before Unvented was available but are still installed today in poor water pressure areas.